So as you may notice from the pictures above, my hair has changed a lot over the past four years! I've gone through a fair few different colours, lengths and styles before ending up where I am now with fairly long bleach blonde hair. My hair is not in the best condition at all but I am really trying to care for it more and improve it's condition. So I've teamed up with Viviscal to bring you some top tips for caring for your hair and helping to grow long, luscious locks! 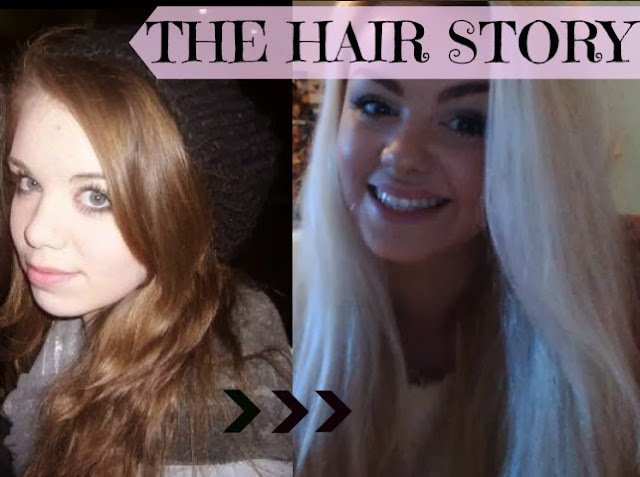 Now this is going to be a rather long post, but the more tips to long, healthy hair the better! 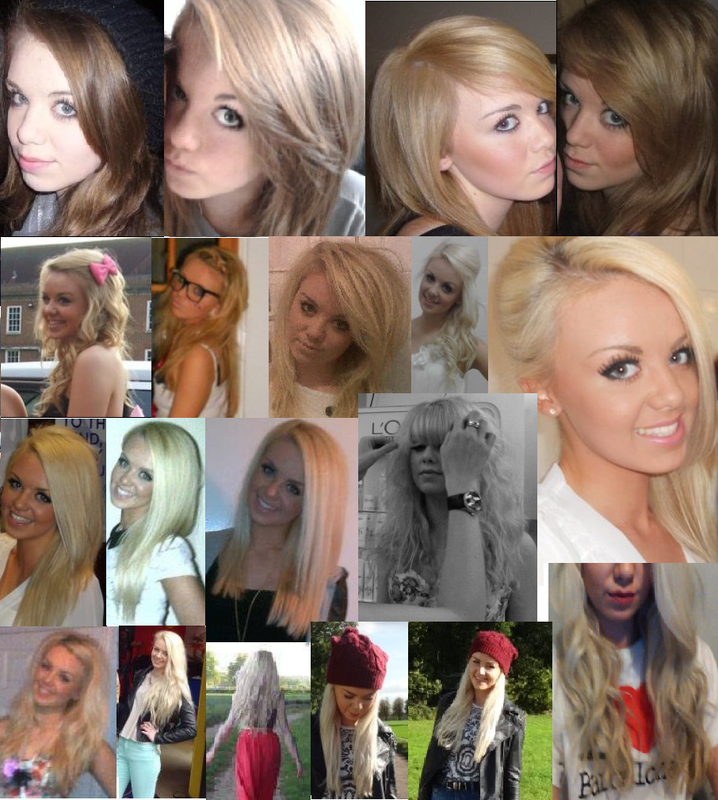 To start off I have treated you to a big collage of my hair across the past four years, including some rather atrocious photos. The first photo is my natural hair colour, it actually looks darker in this picture but is a mousy brown colour. We then travel through four years of hair changes to the last three photos which are very recent ones of my hair now. Split ends. I'm pretty sure at least 99% of you reading this will have had split ends at some point in your life. I have had split ends ever since my early teens when I would straighten my hair 24/7 and the straighter the better was totally cool. I find it funny how I used to straighten and squash it down flat as much as I could and now I will put 5 volumising products plus a fair bit of back combing in my hair to make it big. How times change! Whilst I care for my hair a lot more now, I still have a few split ends from the bit of damage I do give my hair. ''In all honesty, the only way to repair split ends is to get them chopped off! There are three types of split ends, the generic type, the hairs that have multiple splits on the same strand and the type that have a split further up where there is a hole in the strand. For all of these, cutting about a quarter of an inch above the first split on the hair will give your hair the chance to continue growing healthily. Although, this may not be as easy at is sounds so it is best to consult with your hairdresser for the most effective amount to chop off. Heat damage. Unless you've been living in the jungle/under a rock all your life, you will know about heat tools and how much damage they can cause. To be honest, I've never been one for hair drying my hair. I will always let it dry overnight unless I have to wash it in the morning and i'm going out, which honestly saves so much damage. As I said, in my teens I would straighten my hair almost every day. I've laid off the straighteners a lot nowadays and mainly only use straighteners or curlers when I go for a night out or somewhere I particularly want to look nice. I have to wear my hair up for work, which in a way i'm grateful for because it saves me a lot of heat damage! ''These are beautifully disguised weapons of war against your locks! The way they cause this irreversible damage is by overheating the cuticle causing it to break. The cuticle is the outer layer of the hair that is there to protect the inner layer, the cortex, which is made up of proteins. The cortex is what gives your hair the strength it needs to growth and once this is exposed, it soaks up moisture in the air. From this, it will frizz and eventually break off completely. One way that you can wean away from the heat is to let your hair dry naturally after washing. Hair dryers evaporate the moisture from your hair leaving it dry and more prone to breakage, so try washing it the night before and tying it up in a bun. In the morning your hair will feel nourished and full of life, over time the condition will continue to show remarkable results! Also, try turning the temperature down on your hairdryer, curlers or straighteners. Whether your hair is thin and brittle or course and thick, the temperature you use can really affect your hairs vitality. If your styling tools have heat setting, then turn these down to the lowest temperature, you’ll still be able to style your hair and be able to gage how hot is too hot. Chemicals. As i'm sure you can tell from my almost white blonde hair, yes I do bleach my hair. In the earlier photos as my hair started to gradually get lighter I just used Clairol Nice N' Easy hair dyes, but as I decided I wanted even blonder hair I delved into the scary world of bleach. At first I used box bleach, the Schwarzkopf one in the lightest possible shade, but as I realised how bad this was for my hair I started getting it done at the salon. I also now only bleach my roots and keep the rest looking fresh with purple shampoo. Whilst I know how damaging bleach is for my hair, I just absolutely love having super blonde hair. Hopefully one day I will decide I want golden blonde, but for now I'm going to continue being a bit naughty and keep my bleached hair.
'' Bleaching our hair can be just as detrimental as heat tool addiction – if not worse. So I’m afraid that if you want those Goldy Locks then you need to ensure that you find the right shade that isn’t going to singe your hair off. The best way to do this is to ask your hairdresser for their recommendation for your individual shade and hair type. Diet. I'll be honest, this topic is one I knew nothing about. Of course I knew that your diet can affect your hair, but I didn't know any of the details. I'm the fussiest person ever so trying to be healthy is quite a task for me and being allergic to nuts and having a phobia of fish straight away cancels some of these straight tips out. But I've learnt something from these and will be trying my best to be at least a tinier bit more hair healthy! Lean meat – as one of the best sources of protein available, lean meant will give your hair some serious strength and protection! Eggs – these are wondrous little shells of hair goodness. Eggs contain biotin (which you’ll often find on the back of you shampoo bottle!) which is what gives your hair a shiny, healthy glow. Oily fish – these are full of the acids needed to give your hair a boost. Salmon, mackerel, oysters and the likes are all perfect for hair growth; they also contain protein and vitamin D to grow stronger hair that is less likely to break. Nuts and seeds – these help to protect the follicles at the root of the hair meaning that your hair has the best head start to grow lusciously long. Stress. Stress is a major cause of hair loss and of course everyone, no matter to what scale, has stressful times. 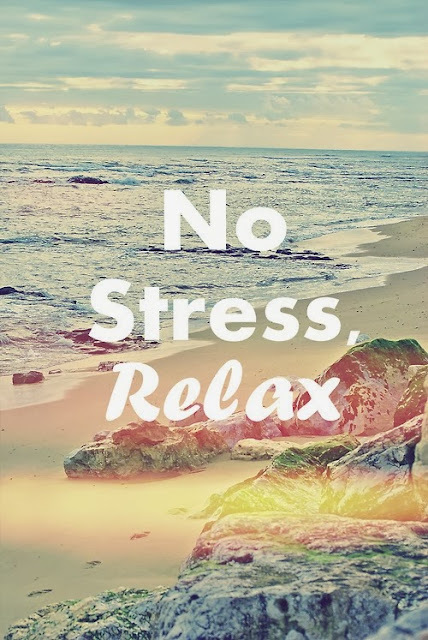 So whether it's a huge problem or you're just having a stressful day, do what you can to relax and stay calm. When i'm stressed I love nothing more than a bath with a nice Lush bath bomb and giving myself a facial massage. Facial massage is super easy to do and i'm sure there must be a few videos on YouTube. It really does relax you and give you some time out to refresh, I can't recommend it enough! Take time to relax and unwind - having some you time to yourself can work wonders, so take some away from the world and have an evening to yourself. Baths are a perfect way to restore calm and relaxation to your muscles after a long day! Go for a run - it’s amazing how much good a bit of fresh air in your lungs can do. Not only will it get the blood pumping round your body and allow you to take a fresh look on things once you’ve had some happy endorphins following around your body. I hope you found out something you didn't know from reading this, I certainly did! Hair care is so important and I just wish I realised this at a younger age. For now, I will continue on my journey of trying to rectify the damage and get super luscious, healthy hair!